Fan of Manchester United since: Since I was a kid. 1. Why did you start to support Manchester United? I used to watch European football with my father and I "fell in love" with United. United is my team, my club, I'm a true Red Devil and i will support Manchester United till I die! 2. Who is your favorite player this season? I must say Chicharito! He's doing well nice! 3. Who is the best player Manchester United had in its history? I can't choose just one. George Best and Cantona will always be United legends. So are Scholes and Ryan Giggs, legends who are still doing their best for United! 5. Have you been to Old Trafford? Going to be in January! I'm so excited! 7. What do you think about Alex Ferguson? Sir Alex is a legend. He deserves respect from everyone. 8. If you were the manager of Manchester United, who's the player, you would bring to the club? Hello, can I bring Cristiano Ronaldo back please? 9. Is there a player in the club that you don't like? No. I like them all. 10. What will be the achievements of the club this season? Beat City, getting the trophy back, and hopefully win the CL as well. 11. What makes Manchester United as a special club in comparison to other football clubs in the world? The passion. Manchester United players play for the shirt not for the money. 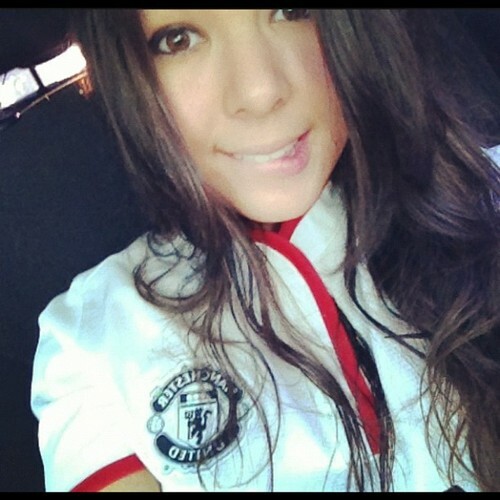 Glory Glory, Man United! "Manchester United players play for the shirt not for the money"